Last spring I got to see my most favouritest painting ever. I love the feeling of still and movement, and the dark and light. Juxtaposition. It's cool. 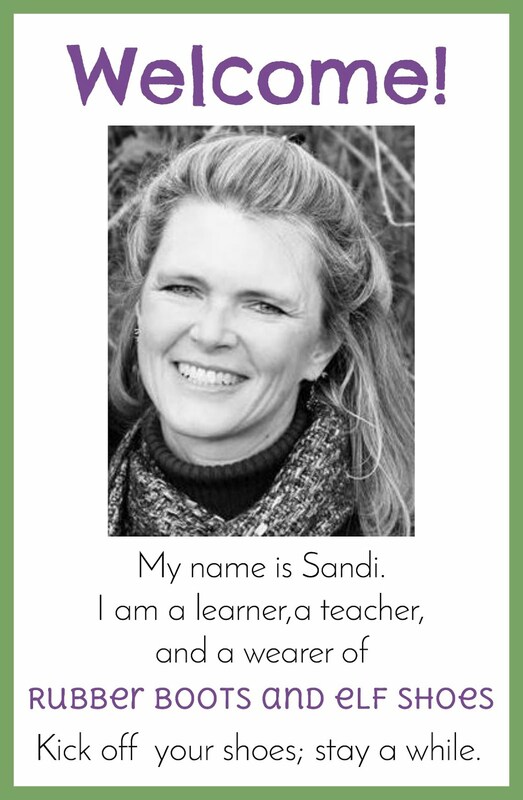 And the real thing is so much better than the poster that hangs in my classroom. I loved seeing the actual brushstrokes that Van Gogh painted. Van Gogh's Starry Night is the first "famous art" that we explore in Kindergarten. 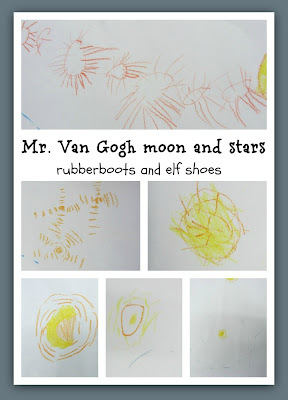 We read about Mr Van Gogh with the Camille and the Sunflowers app. 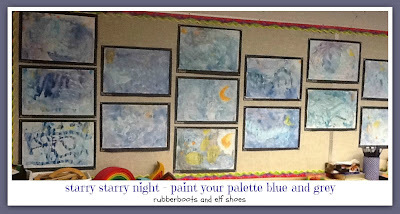 The reference to painting Starry Night employs a bit of artistic license, but we can forgive that. 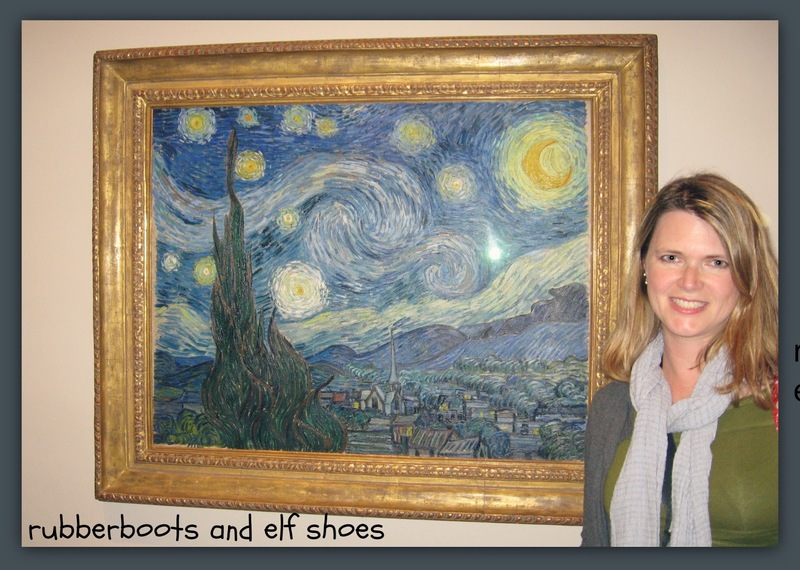 It gives the kidlets a glimpse into Van Gogh's life. 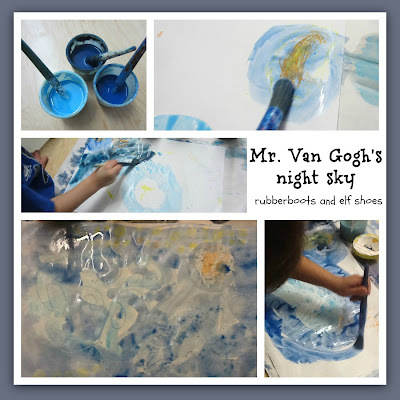 We explored a couple of apps - an interactive Starry Night animation and PlayART where you can create paintings with Van Gogh-esque elements. Don Mclean's song Starry Starry Night is beautiful. After looking at the swirl of the wind, and the shapes of the moon and the stars, we used white, yellow and orange crayons to draw our own Van Gogh night sky. 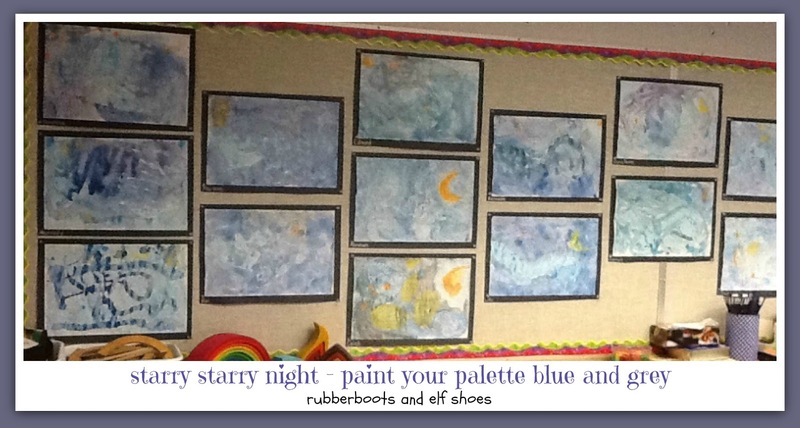 The night sky is painted on with three different colours of watered down blue poster paint. 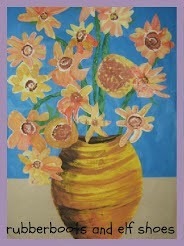 One of my little guys said that our classroom will look like an "art museum" when our paintings are up on the wall.